Nathan is an EPM professional with 13 years of experience in the development and support of Enterprise Planning solutions. Nathan enjoys seeking opportunities to add value to customers that benefits an entire organisation. 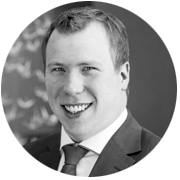 Before joining inlumi, Nathan was the Subject Matter Expert at The Guardian for the internal Hyperion Planning system. He has contributed to the implementation and support of over fifty Hyperion Planning and Essbase applications and is experienced in data integration and EPM infrastructure having consulted for multiple clients in various industries such as Banking, Media, Pharmaceutical, Retail, Public and Publishing sectors. As a Financial Controller, you might love Excel. But simply using spreadsheets for the creation of your budget or forecast has significant consequences.